The Fawcett Group are available any time day or night. Same Day Service. All Plumbing Job Big or Small. If you’re looking for a local, reliable and experienced plumber, look no further than the Fawcett Group. Our vehicle is fully stocked, which means in most cases we can fix your problem on the spot. We pride ourselves on same day service and emergency response as well as neat and tidy work. 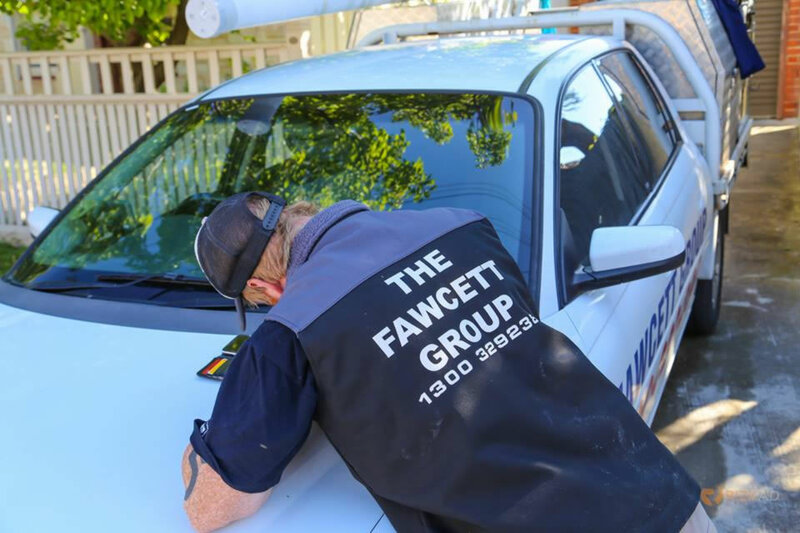 From tap repairs and tap replacement to hot water units, the Fawcett Group has you covered. With the Fawcett Group, you can expect a uniformed tradesman, with good manners, to arrive on time and fix the job in a neat and tidy fashion. With years of experience, the Fawcett Group has built a reputation for doing the right thing by their clients. Our main objective is to arrive on time, locate the cause of any problem and fix it with a minimum of fuss, with speed and quality to the forefront. Our team are highly experienced and trained in all aspects of domestic and commercial plumbing. Specialising in Blocked Drains, Hot Water Services, all General Plumbing, Heating & Cooling. Call us today on 1300 329 238 for an obligation FREE QUOTE.